Animals are a wonderful and essential part of life. Spending time with animals, nurturing them and even just watching them can lower our blood pressure and have a positive effect on our moods. While there is a multitude of animals that exist on the planet, it is mind-boggling to see how each animal has its own particular traits and qualities that distinguish it from the others. Prepare to be amazed by some of the most interesting aspects about animals which are not only little known but also quite awesome! Cows sleep while standing up, can produce more milk while listening to soothing music and, like humans, can have best friends! Elephants have the capability of smelling water up to 3 miles away and go through menopause. 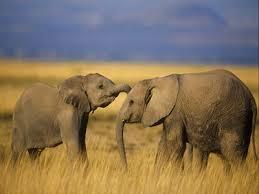 They can also portray incredible empathy towards fellow elephants as well as other species of animals. Cats use their whiskers to gauge if they will fit in a particular space or not and each one has a unique nose imprint like a human fingerprint. With 32 muscles in each ear, cats are well equipped to eavesdrop on our conversations! Interestingly a group of cats can also be referred to as a ‘Clowder’. Koalas are known to exclusively eat only eucalyptus leaves and nothing else and they along with humans are the only animals to have fingerprints. Tigers have stripes not only on their fur but also on their skin and no two tigers ever have the same stripes! They also have 6 times better night vision than humans! Polar bears have black fur beneath their outer layer of white fur and they live only in Arctic areas not in Antarctica. In fact, the word arctic has been derived from the Greek word for bear while the word Antarctic is derived from the Greek meaning the opposite – without bear. Ants do not have lungs and there are about a whopping million ants for every human in the planet! Moreover these resilient creatures cannot chew their food; instead they move their jaws sideways like scissors for extracting juices from the food. Sea otters hold on to each other’s paws while eating and sleeping so that they don’t drift apart! Giraffes have black tongues and they are so long (normally 21 inches!) that giraffes can clean their ears with their tongues! 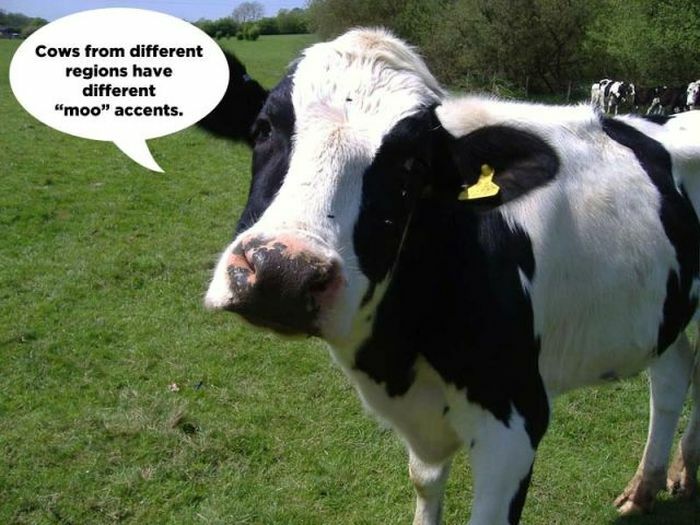 They are also the only animals to be born with horns – they are found to have bony knobs on their forehead when born. A giraffe has no vocal chord and can eat up to 60 kgs of leaves everyday! Rats can laugh and they tend to breed so fast that in just 18 month two rats can possibly create a million relatives! Snakes cannot bite food and so have to swallow it as a whole and their flexible jaws allow them to eat prey bigger than their head!